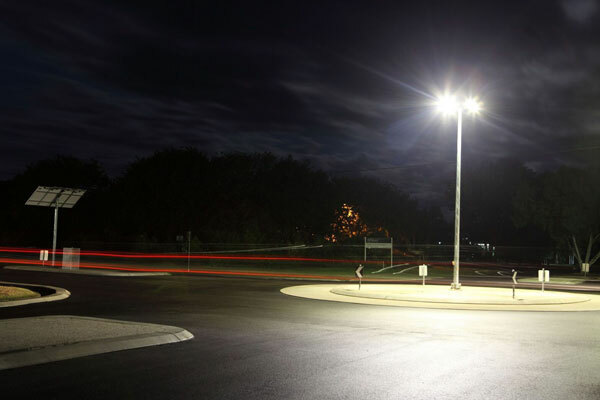 A regional council required a lighting solution for a newly constructed roundabout as part of the ‘Black Spot programme’. Solar lighting was preferred as it could be supplied and installed quickly whilst giving council control over the ownership and maintenance of the asset. The Vertex® solar lighting system includes a 7m high slip-based pole with four Cree XSPR 27w light fittings and a slave pole off to the side of the roundabout that carried the Vertex® energy management system, batteries and solar panels.